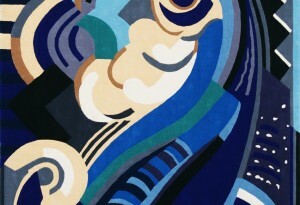 Mainie Jellett (1897 – 1944) was one of Ireland’s finest painters of the 20th century. 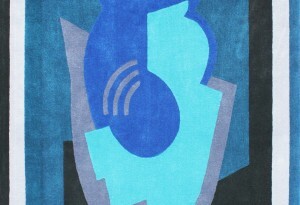 She was part of the explosion of ‘Modernism’ of 1920’s Europe and was a notable contributor to the ‘Art Deco’ movement that revolutionised thinking in design, colour and composition. 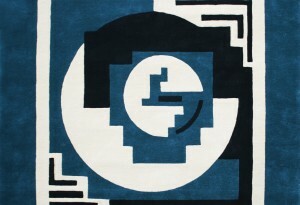 Mainie Jellett made many rug designs through the latter part of the 1920’s and into the 1930’s. 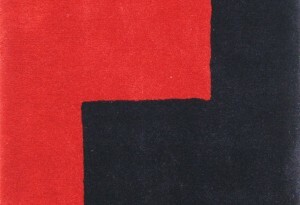 She exhibited her first carpet design in her solo exhibition of 1928. 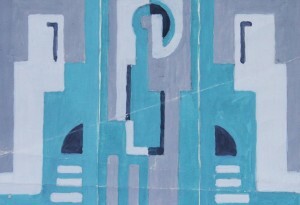 It was in gouache, on paper mounted on card, fragile and slight. 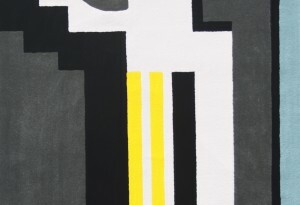 It was accompanied by a pencil drawing on paper annotated with details of colour. 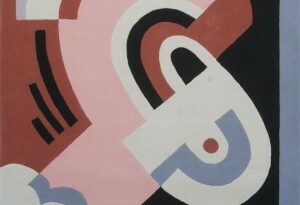 This was to be her general approach; all her finished rug and carpet designs were in gouache, a more controlled medium as far as colour was concerned. 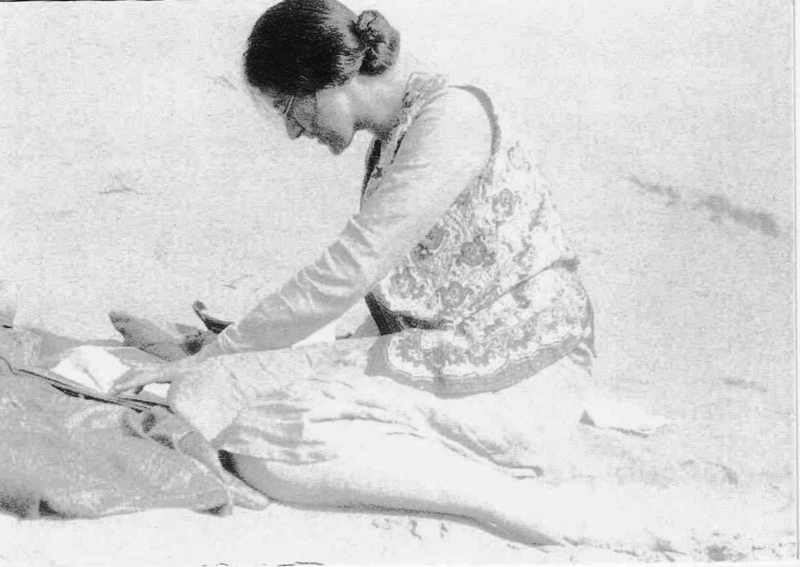 Her rugs were executed by various enterprises such as the Dun Emer Guild, The Irish Countrywomens Association and a company based in Paris. 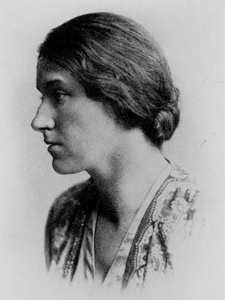 Mainie’s own family, including her sister Bay and her mother produced a number of rugs in their home at Fitzwilliam Square. 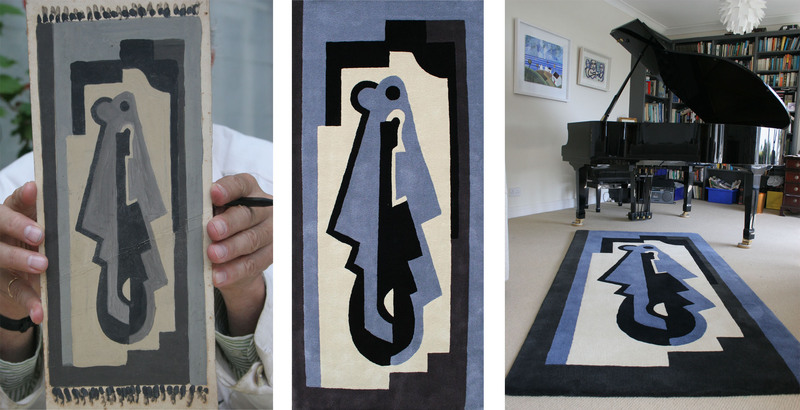 The current collection of rugs, made by Ceadogán Rugs at their workshops in Co. Wexford, are based on the original gouache drawings and have been produced by kind permission of the representatives of the Jellett estate. 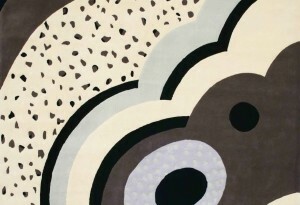 All of the designs are flexible in terms of size so long as the original proportions are maintained. 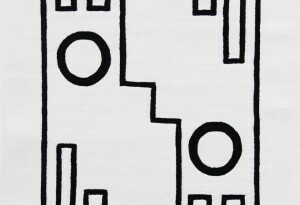 A small number of the designs can be produced in alternative colourways as was specified by Mainie Jellett in her instructions. 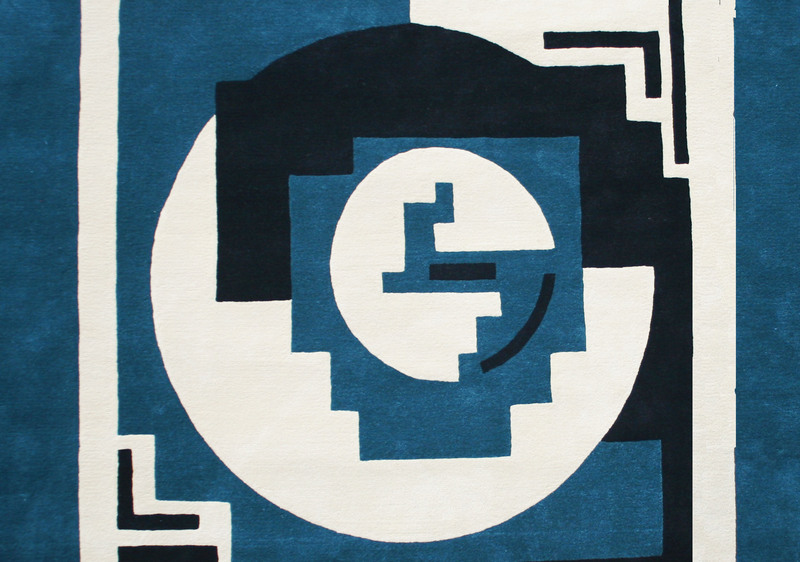 All the rugs are made with 100% pure wool but can also be made using silk/wool (55%/45%) mix.The rugs are produced in limited editions of 10. 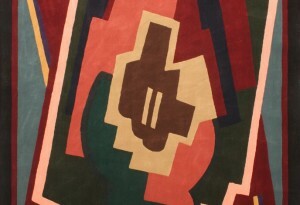 ‘Mainie Jellett’s rug show, in their shapes and colours, in the magical balance of material content, a unique rightness of vision. This is what makes her work unique, her life successful in a non-material, creative sense. 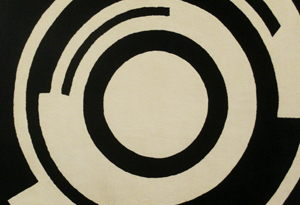 She confronts us magnificently in the surfaces she created.’ Bruce Arnold.